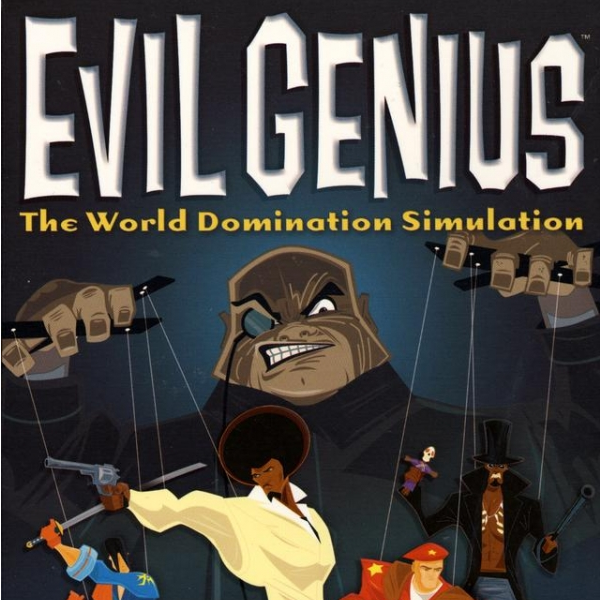 Evil Genius is a 2004 single player real-time strategy video game developed by Elixir Studios and published by Vivendi Universal Games. The font used for the game title on the cover is probably Fink Sans, a comic font from House Industries. Fink Sans is part of the RatFink family. You can view more details about the font family here. The RatFink font identified above is not available for free, please follow the link above and purchase the font. Meanwhile, you can take a look at our collection of fonts for cars, pop music and apparel as well as round-ups of new & fresh fonts around the web. In addition to Evil Genius, RatFink typeface is also used in the following logos, movie posters or album covers etc., including: Animal Crossing, Wizards of Waverly Place, Plastic Seat Sweat, The Backyardigans, Gone Nutty.